Hello backers! 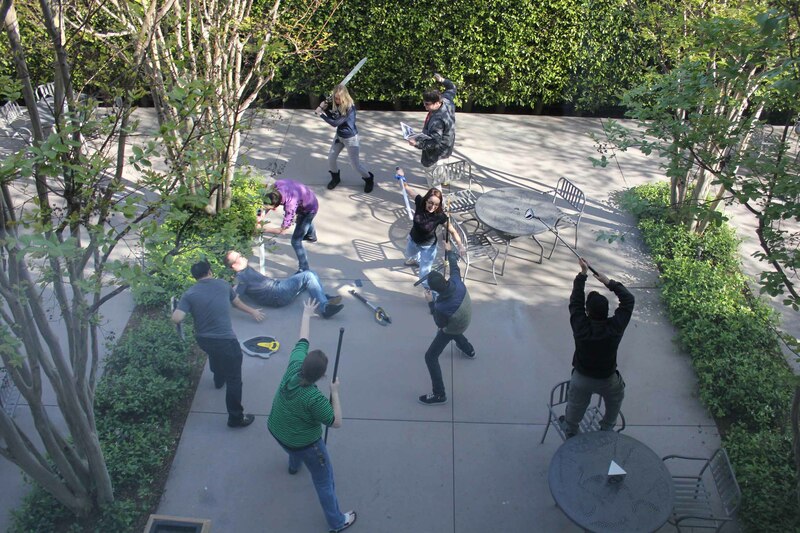 After a successful week at GDC everyone is back in the office energized and inspired. This week we'll be taking a look at what the life of an animator is like on Pillars of Eternity, from what an average day looks like to how an animation goes from concept to being in the game. In our next update, look forward to an update all about the audio design on Pillars of Eternity, featuring Justin Bell, our Audio Director. As a reminder, the survey deadline has passed. If you still need to fill out your surveys, we encourage you to do so by going to the backer portal and completing your order. We will attempt to accommodate as many late surveys as we can, but we can't promise that the content will make it in to Pillars of Eternity. Late survey entries may have to go into a future Eternity product instead. The animators gathering reference for a wild Xaurip attack. Each day, our animators gather together in the lead animator's office to give an update on what they're working on. Any road blocks or challenges that an animator is running into can be brought up and the entire animation team can help to figure out a way around it. Everyone on the team tends to work very closely together. It's very rare for an animator to be working alone for the entire day. Most animators will collaborate and look for critique and feedback as they work so that they can make sure their animations look as good as possible. Once everyone has been brought up to date with what the team is doing, the animators head back to their offices and begin to work. 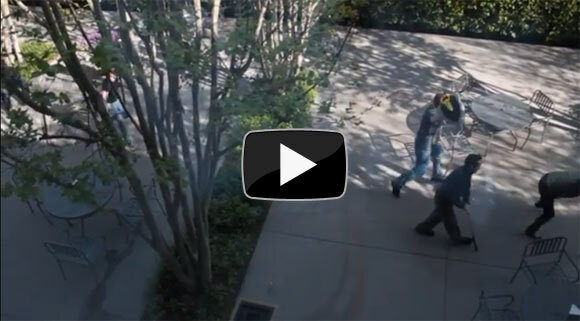 Many of our animators like to take reference of themselves acting out certain attacks, and it's not unusual to walk by an animators office and see them growling, snarling, and stalking around while they try to work something out. You can usually recognize an animator's office by the mountains of toy swords, shields, staffs, and guns they have lying around for any impromptu reference sessions that may come up. Once they've figured out how they want the animation to feel and look, they can sit down and really start animating. Animators acting out Xaurip animations. The amount of time spent animating is smaller than one might think when compared to the time spent in iterations, adjustments, and actually successfully implementing the animations into the engine. When an animator feels like they have something ready for the game, the animations go into the game engine and off to the lead for review. For Pillars of Eternity, there have been a variety of challenges our animators have come across. To begin with, this is the first project at Obsidian to use the Unity engine. It's always a challenge to learn a new engine for a project and to adjust to a new set of tools. While animating is animating regardless of the project, the availability of different tools can really make a difference to an animator's process. Since Pillars of Eternity is designed from an isometric view, the animators need to stay aware of the locked camera at all times when animating. Characters are also relatively smaller on the screen than they would be in another type of game. This means that animators need to focus on stronger poses and broader movements than they would use on a game with a first person or third person camera. The motions of the animations have to have a strong silhouette from as many angles as possible so that they can be read clearly at a distance. Once the concept is finished, that's when animation team comes in. 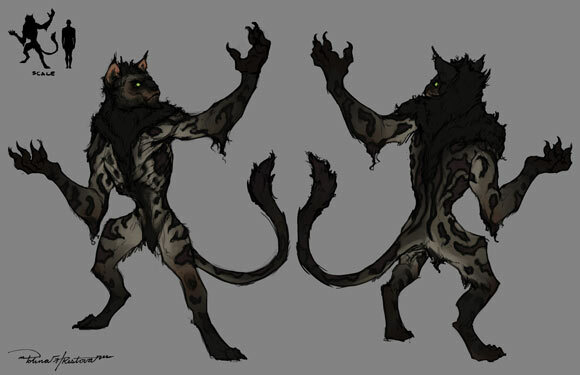 The animator will consult with the designer and the concept artist in order to break down what specific animations need to be made for every creature. An animation list gets written up and saved while the creature is sent off to the character team to get modeled and skinned. The character artist will block out and hook up the model in the engine so that we can take a look and see if any new systems need to be implemented for this creature. Maybe we want him to have a special ability that hasn't been designed yet, like a transformation between one form to another. That's when a programmer would step in to help design a way to make those special systems work. With the systems in place, the animators can finally begin to animate! Animating for a video game is a bit different than animating for a feature. Each action a character is going to use has to be broken into a separate animation so that the game engine can call on them when different criteria are met. Even simple things like a character's run and walk need to be planned out and separated into small individual animations. A typical full animation set can take up to a month (and for more difficult creatures, sometimes even two months) to implement. During the animation process, animators will work very closely with design to make sure that every creature looks and moves just like they envisioned. Once all of the animations for the creature are blocked in, the animator can bring them into the engine and start seeing how they fit together in the actual game. There is a lot of back and forth between the animation package and the engine at this point in order to fine tune each animation. If the lead is happy with how an animation looks then the animator is done and can move on to the next creature on the list. We have a bunch of new interviews and articles out on Newegg's new gaming site, GameCrate! GameCrate visited our offices in February for a behind the scenes tour of the studio and got to take a firsthand look at Pillars of Eternity. Take a look at their article, The Factory Level: Obsidian Entertainment to see what they experienced. Check out what Josh had to say about the game in his interview here then take a look at an interview with Feargus here about the business side of Pillars of Eternity. If you're in a hurry and want to get down to the quick details, check out their article 10 Pillars of Eternity Details We Picked Up During Our Tour of Obsidian Entertainment. You can also check out their twitter account, @GameCrate, for updated news and articles about gaming. We love tabletop games at Obsidian, and what better way to bring your campaigns to life than with some awesome modular cavern sets? 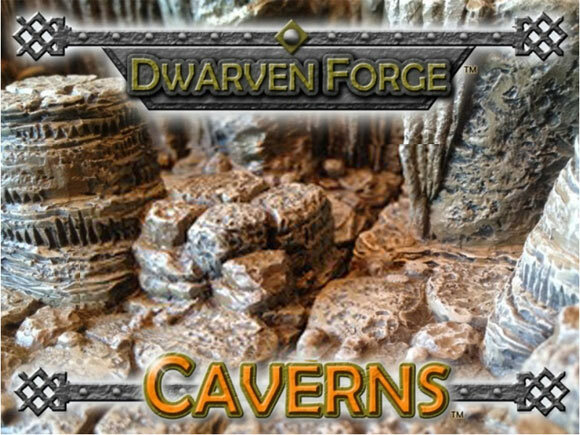 The guys over at Dwarven Forge are releasing a brand new set of modular cavern tiles crafted from their new unbreakable Dwarvenite material. They've got some really cool stretch goals to add even cooler pieces, including a Lava Cavern Add-On Pack. Check out their Kickstarter campaign here! Here at Obsidian, we know that DRM can be a touchy subject so we got together with our friends at Paradox to think of a better solution, because you know, rights need to be managed. What came out of those discussions is... the Pillars of Eternity A.R.M. Much like the code wheels of old, players will be greeted with a large, glowing question rune on the title screen. In addition to the question rune, ten smaller runes will also be displayed. 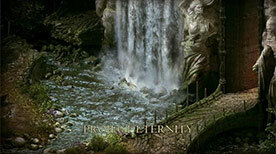 Players will then have to use the Pillars of Eternity A.R.M. 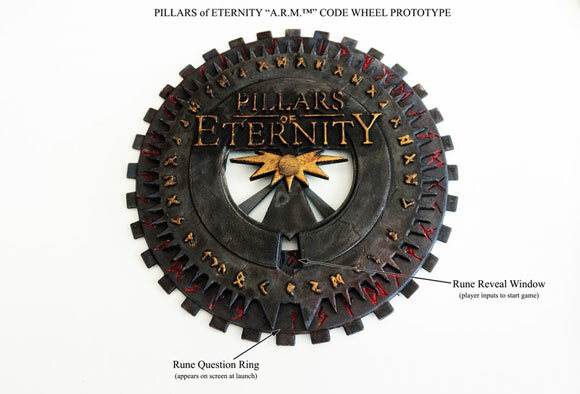 code wheel to decode the question rune and select the properly revealed rune. It's fast and (somewhat) easy. Be careful, though, because two incorrect selections in a row and your copy of Pillars of Eternity will become locked down for 72 hours while our customer service department investigates possible fraud. April Fools'! As we said from the very beginning, Pillars of Eternity is, and always will be, DRM, and ARM, free. That's it for now. Head over to our forums and let us know what you think of the update.